Patient Centre Thinking About Weight Loss Surgery? Thinking About Weight Loss Surgery? This is why we work as a team here at WALOS. Our team consists of specialist bariatric physicians, psychologists, exercise physiologists, nurses and a patient support group. All of our weight loss surgery procedures are performed from the WA Laparoscopic and Obesity Surgery clinic (WALOS). We also offer body contouring treatments such as a tummy tuck after you have undergone a successful weight loss surgery. When you meet with Dr Dolan for the first time, he will assess your medical history and carefully explain the finer points of your surgery while also answering any questions or concerns you may have about your procedure. When undergoing surgery with us, you will have the support of the entire team for the duration of your weight loss journey. A weight loss surgery transformation can be quite emotionally draining, and we are committed to seeing you through to your ideal weight. So, what are some options for weight loss surgery? Lap-Band surgery uses an adjustable band created from silicon that is fastened around the upper part of your stomach in order to restrict the amount of food you can eat before feeling full. Lap-Band surgery is a viable option for those who want to lose weight permanently and patients can expect to lose up to a 1kg a week for the first 12-18 months of treatment. As weight loss surgery goes, lap-band surgery can offer sustainable results and can drastically change body shape for the better. Lap-band surgery is laparoscopic which means it is far less invasive, creates reduced scarring and takes less time to recover from than traditional open surgery. Before you undergo lap-band surgery, Dr Dolan will assess you thoroughly and set out a detailed eating plan for you to follow. Weight loss surgery requires that you go on a liquid diet the week before your surgery and you shouldn’t eat after midnight the day before. As part of the recovery process, we will insist that you commit to a healthy lifestyle that will be pivotal in the quest to lose weight and have it stay off. Gastric bypass surgery is another great option for patients considering bariatric surgery. It is one of the most effective weight loss surgery solutions for patients that are suffering from morbid obesity and have previously had trouble making any significant breakthroughs by non-surgical means. Patients who undergo gastric bypass surgery can lose up to 80 per cent of their excess body weight. Patients who are not suitable candidates for this surgery include those who suffer from excessive obesity and other co-morbid disorders. They may not be suitable as this specific weight loss surgery has many significant surgical risks due to the anaesthesia required to perform the procedure. Gastric bypass surgery limits the amount of food that can be eaten and the subsequent absorption of calories. It can also alter the gut hormone levels in order to make patients feel full after eating smaller portions. As with all our other weight loss surgery options, Dr Dolan will meet with you and discuss a detailed treatment plan that includes a strict diet and an exercise regime that will give you the best possible chance of keeping your excess weight off. Gastric sleeve surgery is one of the most well-known and popular bariatric surgeries available today and could be a great solution for patients considering weight loss surgery. 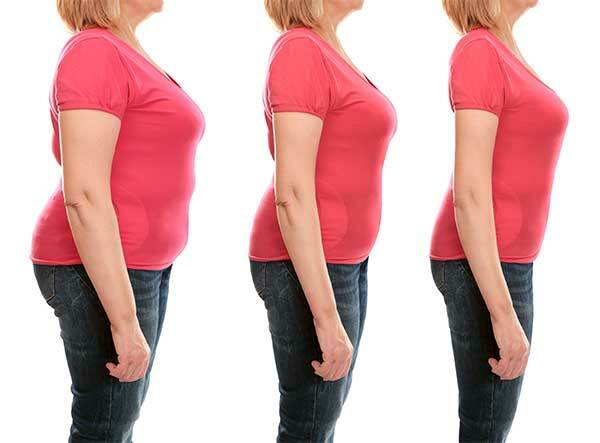 Gastric sleeve surgery involves removing three-quarters of the bottom part of the stomach. This restricts the amount of food a patient can consume and more importantly reduced the amount of hunger hormone ghrelin that the stomach produces. This help patients lose weight by decreasing the amount they can eat and also decreasing their hunger between meals. Dr Kevin Dolan has more than 20 years’ experience performing weight loss surgery in WA and is dedicated, along with his team, to helping you achieve your weight loss goals. To find out more about our weight loss surgery treatments or to make an appointment with us, please click here.